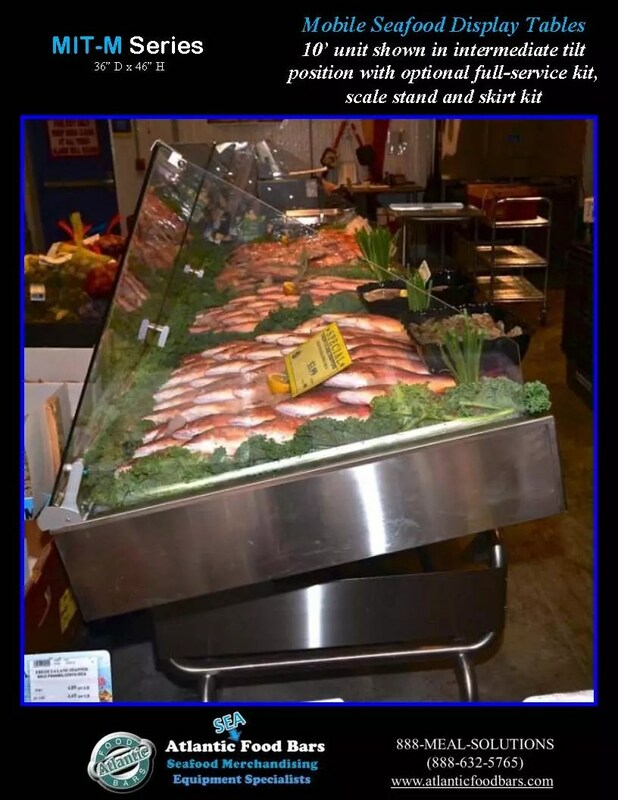 Revolutionize Your Food Merchandising with The transforMerchandiser System – 27-In-1 Roadshow Merchandiser With Interchangeable Accessory Kits To Sell Seafood, Meat, Produce, Grocery, and More! The transforMerchandiser offers a revolutionary way to increase sales per square foot, add excitement and spontaneity to your departments, and increase ROI on equipment cost by taking advantage of the interchangeable kit system which performs the function of 27 different pieces of equipment in 1 single unit. The purchase of a single base unit allows you to roll the merchandiser into multiple departments and fit it with different kits to sell everything from dry bakery goods to floral items to produce to oysters to meat to smoothies to seafood with a variety of self-service, full-service & combination service configurations. 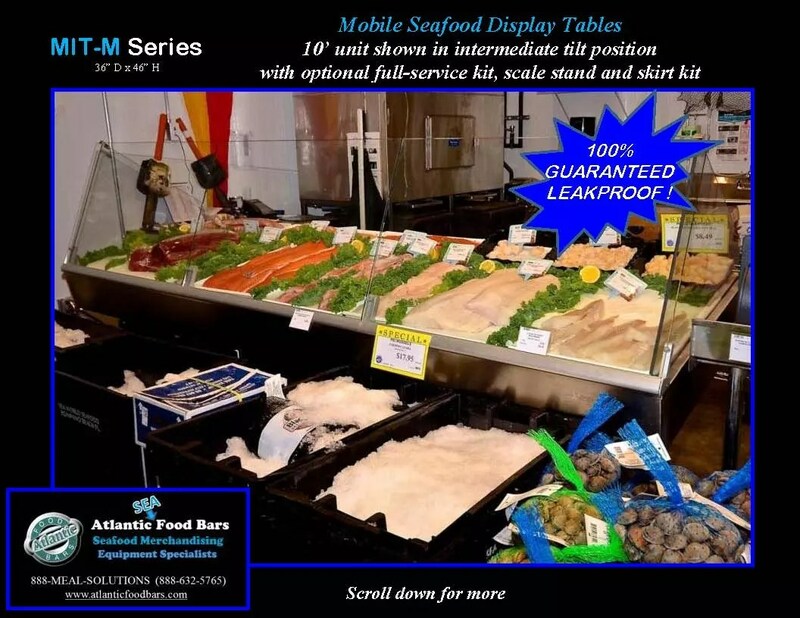 This entry was posted in Idea Factory, Modular Mobile Ice Tables, Seafood Cases on January 5, 2017 by Atlantic Food Bars. 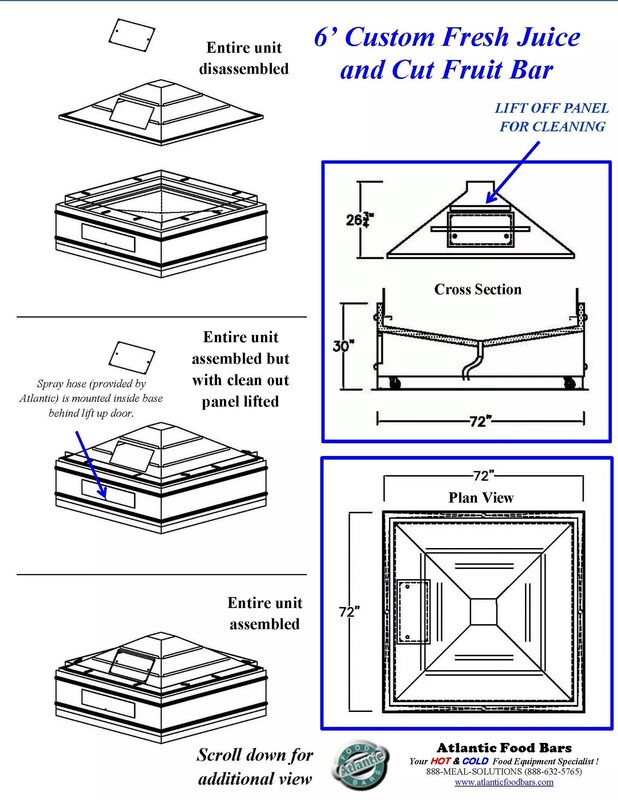 This entry was posted in Idea Factory, Modular Mobile Ice Tables on September 18, 2014 by Atlantic Food Bars. 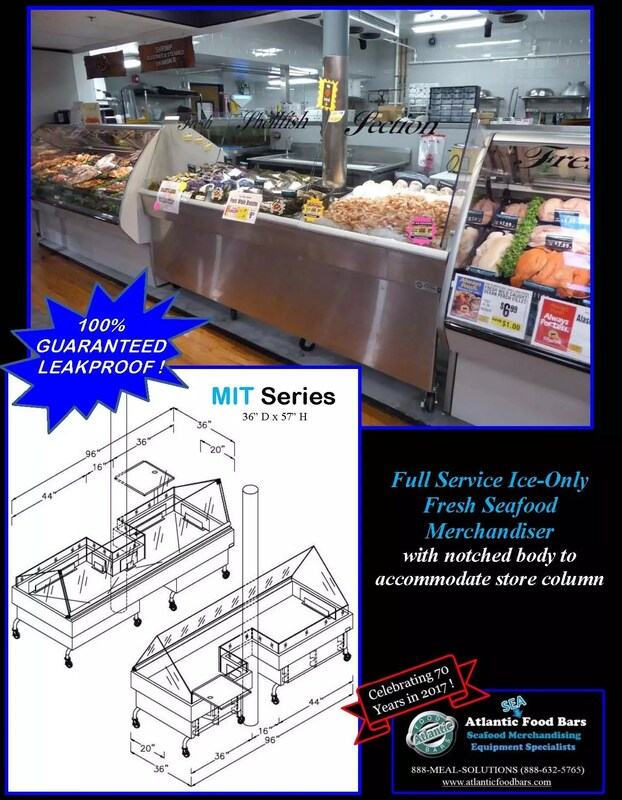 NEW PRODUCT – MIT-M Modular Mobile Ice Tables for 100% Guaranteed Leak-Proof Seafood Display – Effortlessly Transform from Full-Service to Self-Service ! 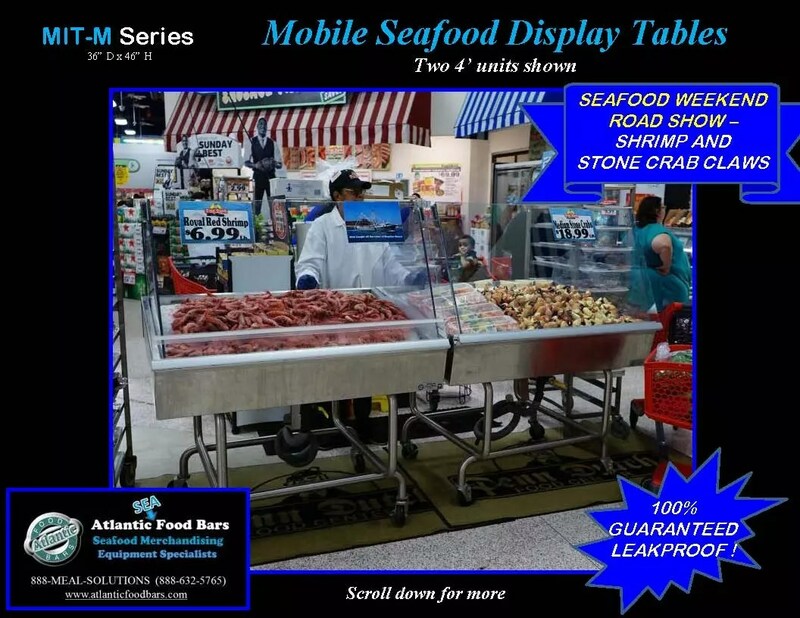 This entry was posted in Modular Mobile Ice Tables, Seafood Cases on February 11, 2014 by Atlantic Food Bars. Look no further for the foodservice industry’s top Hot Food Bars, Salad and Olive Bars, Hot Meal Merchandisers, Combination Hot and Cold Cases, Refrigerated Seafood Cases, Hot Rotisserie Chicken Cases, Iced Display Tables and Soup Bars. 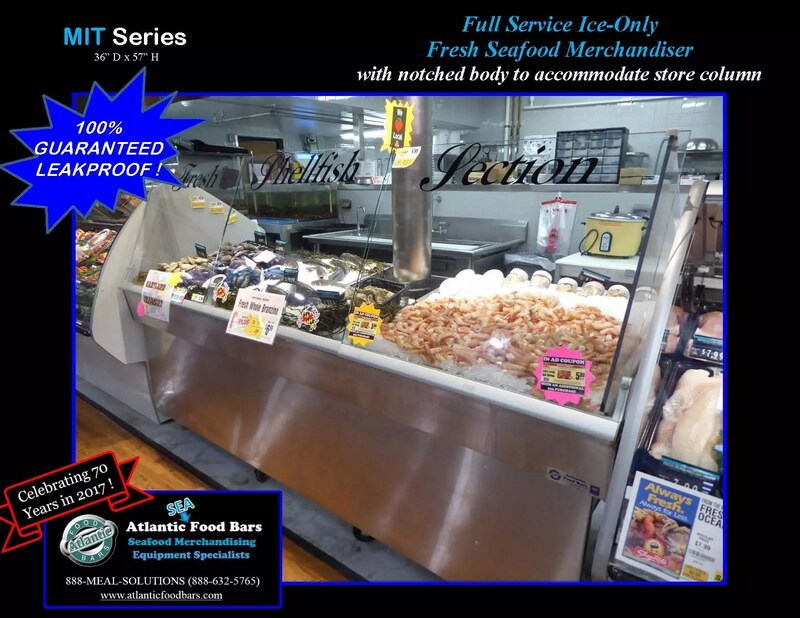 No matter what type of self-service, full-service, or combination-service prepared foods you are looking to merchandise, Atlantic Food Bars can turn your vision into a profit-generating reality. No project is too small or too large for our Sales, Engineering or Manufacturing teams – call us today to experience the foodservice industry’s best customer service and attention to detail, and we will promptly provide an effective and practical recommendation. We guarantee your satisfaction! 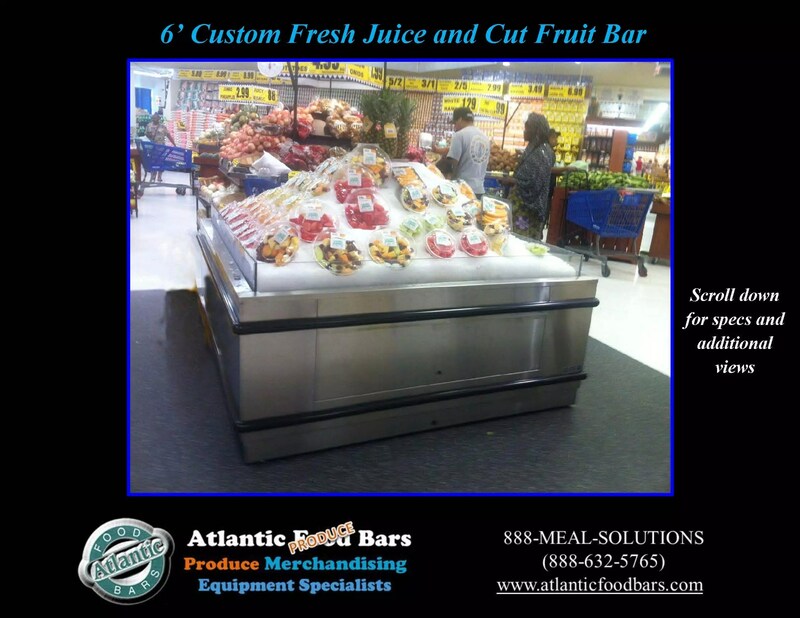 We are your Hot and Cold Food Equipment Specialist – we welcome you to join the world’s top retailers and institutions in discovering the benefits of being an Atlantic Food Bars customer. Call us today and have the foodservice industry’s #1 source for food merchandising displays begin working on a tailored solution for YOU! This entry was posted in Combination Bulk and Packaged Hot Food Cases, Combination Hot & Cold Cases, Country Club and Estate Series, Hot Bulk Food Bars, Hot Combination Full and Self-Service Cases, Hot Packaged Food Cases, Idea Factory, Modular Mobile Ice Tables, Salad & Olive Bars, Seafood Cases, Soup Bars on July 18, 2013 by Atlantic Food Bars. 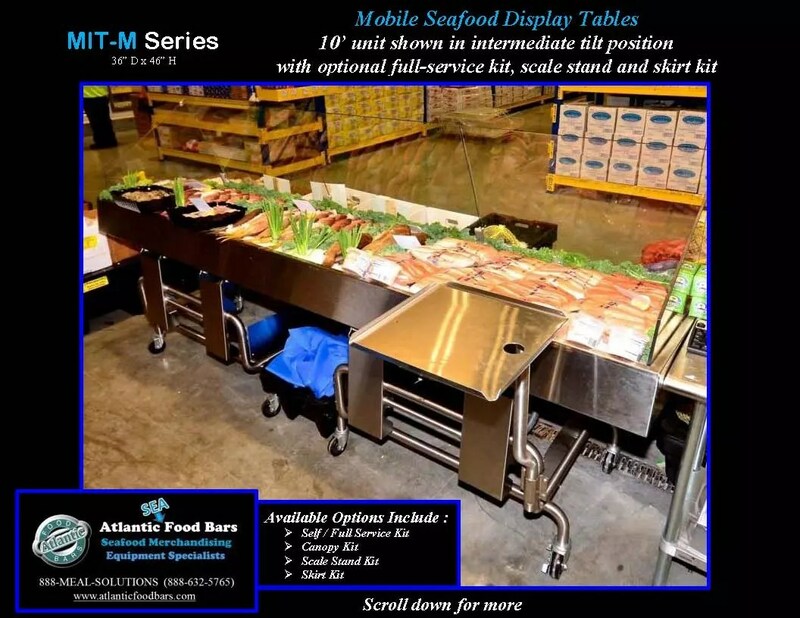 The world’s most successful food retailers and foodservice operators look to Atlantic Food Bars for prepared food merchandising solutions that WORK! 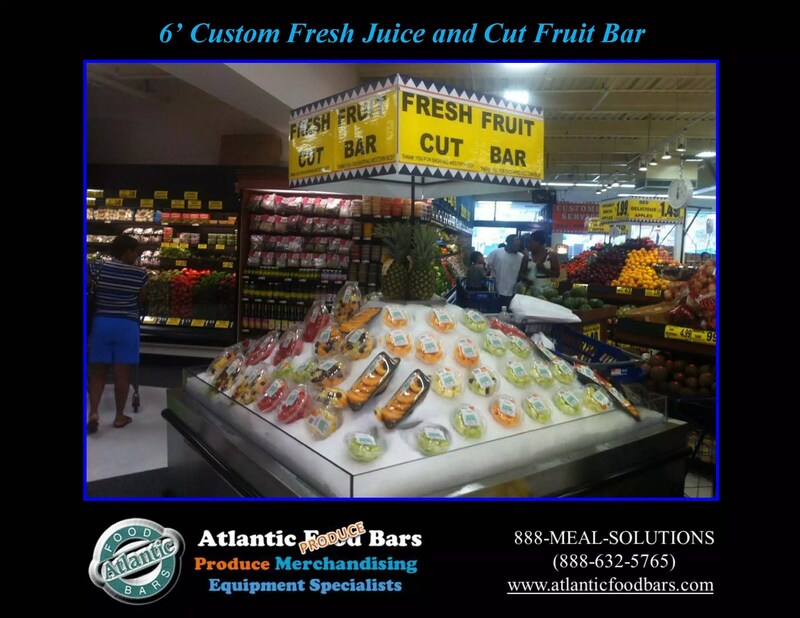 For over 65 years, Atlantic Food Bars’ peerless engineering and design team has created equipment that meets the ever-changing needs of growing food retailers – from single-unit operators to multi-national companies. Our reputation for visually appealing, quality equipment at competitive pricing is unmatched, but it is our ability to tailor any design to our customers’ specific needs, along with our attention to detail and world-class customer service that has distinguished us in the foodservice industry. Where others fail to meet lead times or follow through on fail-safe design, we excel on making our customers happy each time, every time. From extensive hot and cold food lineups to 26-inch convenience store chicken cases, all Atlantic Food Bars equipment carries the INDUSTRY’S LONGEST WARRANTIES and offers GUARANTEED TEMPERATURE MAINTENANCE. Whether you want to merchandise hot or cold prepared food or a combination of both, Atlantic Food Bars has solutions for your specific needs. With unlimited options in finishes, shapes, sizes and material, we will build a food display that works perfectly for your specific needs. If you want to experience the industry’s most responsive customer service and highest attention to detail, call Atlantic Food Bars. I personally guarantee your satisfaction. Call me anytime toll free at 888 – MEAL SOLUTIONS (888-632-5765) Outside U.S. – 410-581-0300.